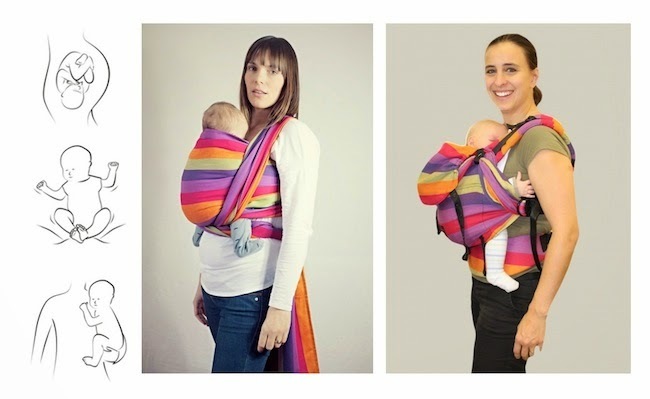 Baby Size: Newborns, babies and toddlers from 3 kg (6.6 lbs) up to 18 kg (33 lbs). Toddler plus Size: From 1 - 3 year (max. 18 kg / 39,6 lbs). For moms, dads, grandpas, grandmas uncles and aunts and so on with size XS - XXL. Already in mums belly and also during the first month babies pull up their legs automatically, no matter if they are lying or being hold. 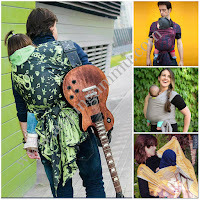 Wraps, Ring Slings and the Emeibaby carrier are always reaching from knee to knee, holding the legs in a high position and are supporting this ergonomic and natural position. Babies are growing very fast. A few weeks after birth they have doubled and tripled their birth weight. 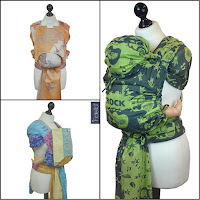 Emeibaby carrier, Ring Sling and wraps are growing with your baby. 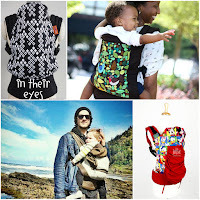 They always fit your baby exactly and support your baby´s back best. 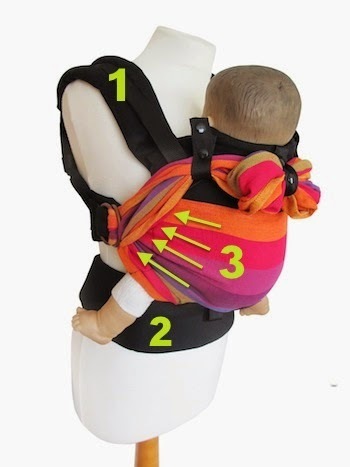 A good support in a baby carrier is important for a healthy back development and also for free respiration. For newborns NO insert is needed. 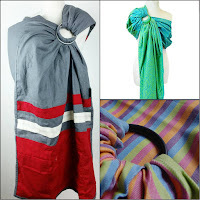 and, what makes Emeibaby unique, at the broad fabric at your side. 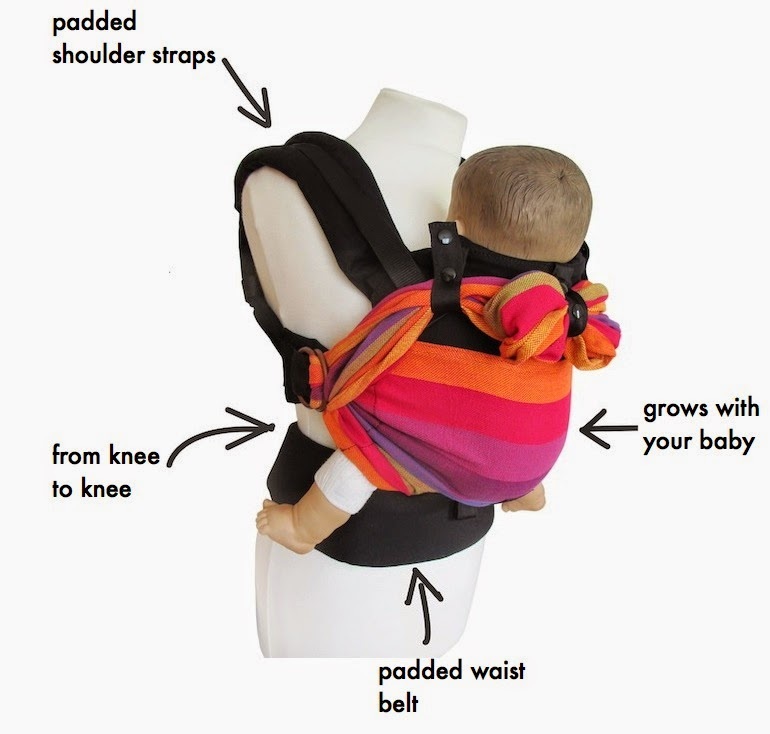 Due to this 3-point-weight-distribution you wear your baby as close to your body as possible and gravity centered. 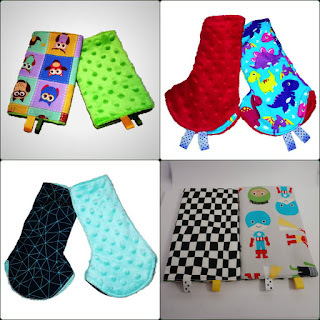 That makes Emeibaby tremendously comfy.